In order to maintain the appearance of your lawn, it’s important to pay close attention to the trees on your property. Tree trimming is an important part of landscape maintenance not only because it enhances the look of your home, but also because it improves the health of the trees on your property. The arborists at Lamb Tree Service in Dexter, KY, are trained to provide proper tree care to make any home's yard healthy and beautiful. 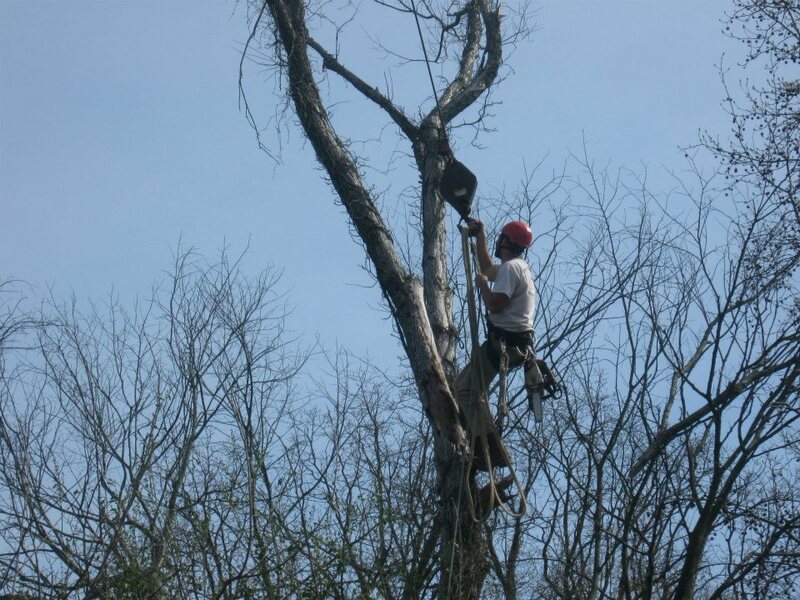 In addition to tree thinning, this includes tree removal, planting, and pest management. Beautiful Yard: When you trim your trees, you automatically improve the state of your lawn. This is because the number one goal of tree trimming is to remove dead branches on the tree. The second goal is to trim limbs that are growing much faster than others to even out the shape of your trees. If you have any trees on your property that were planted solely for aesthetic reasons, then trimming is very important to helping them maintain their appeal. Encourage Tree Growth: Tree trimming is an important part of tree care because it makes your trees healthier by encouraging them to grow stronger roots and new branches. This will enable the tree to withstand harsh weather conditions. Trimming also removes any cracked or diseased limbs that could infect the rest of the tree and shorten its lifespan. Removes Dangerous Limbs: Tree trimming also increases your safety. You should maintain the trees on your property to remove branches that could easily break during a storm. If these limbs are located over your home or near electrical lines, they could create dangerous situations if they were to fall. If it has been a while since your last tree trimming, call (270) 753-2020 to speak to a professional arborist at Lamb Tree Service today. Be sure to ask for your free estimate! To learn more about this Dexter tree care service and their other specialties, such as tree removal and pest management, visit them online.